HUGO BOSS hosted the first of two reopening events for their newly designed BOSS Store at the Marina Bay Sands, in Singapore. Guests from the worlds of fashion, media, as well as business partners and local celebrities were invited to an exclusive reception that included a Q&A session with recently announced local BOSS brand ambassador, Joseph Schooling and actor Sebastian Stan. Following this, actor Chris Hemsworth attended the second store event. 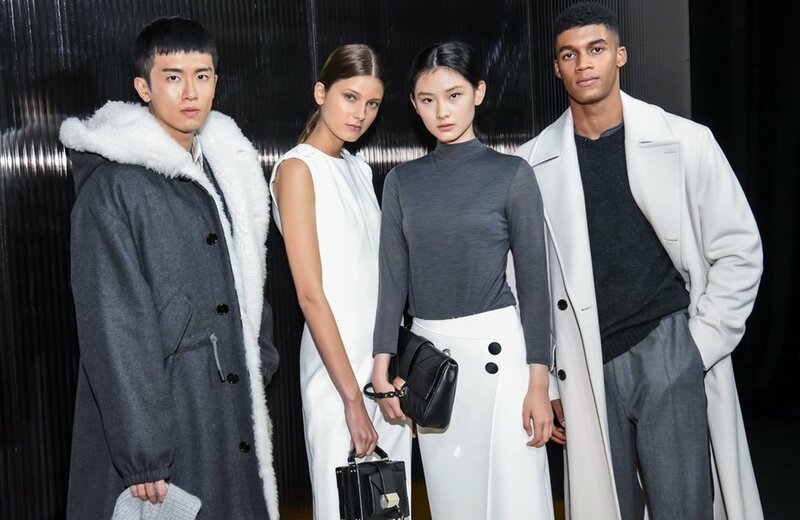 In celebration of the reopening, some 1,000 guests were invited to a BOSS Menswear and Womenswear fashion show presenting the Fall-Winter 2018 collection at the Marina Bay Sands. Among local celebrities like Pierre Png, Andrea De Cruz, Sheila Sim, Tan Chuando, and our very own Nico Bolzicco and Solenn Heussaff, internationally renowned actors Chris Hemsworth and Sebastian Stan watched the presentation from the front row. The show finale included the official launch of the local BOSS campaign, starring Joseph Schooling. At the after-party, model Park Soo Joo and Swedish DJ Mike Perry entertained guests with a DJ set. Warm and residential materials for wooden cabinets, generous and comfortable seating areas, integrated skylights, as well as granite flooring enhanced the inviting atmosphere. The new interior conveys a homey feel, welcoming customers to the world of BOSS. On a total retail space of 511 square meters the store features the latest BOSS Menswear and Womenswear Spring-Summer and Pre-Fall 2018 collections including shoes and accessories. The Joseph Schooling Capsule Collection was developed in partnership with BOSS. It is now available exclusively across BOSS Stores in Singapore.